Jaco Beach, Costa Rica. RE/MAX Connection and Oceanside Realty are proud to announce that we have joined forces. 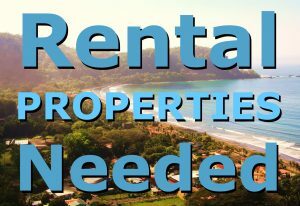 Oceanside Realty has proved to be one of the most successful independent real estate offices in Costa Rica. “We are thrilled to merge with RE/MAX whose offices around the world are recognized as setting the pace for the industry” explained Ken Schaafsma, owner/broker since 2005. Oceanside Realty has become known as a company of trust and integrity, heavily customer focused. It is also well known for as its support of local charities, non-profit organizations and of the Jaco Chamber of Commerce. RE/MAX Connection has been assisting buyers and sellers in the area since 1998 and is known for their strong community ties and commitment to providing excellent real estate service. “RE/MAX has earned the confidence and trust of both buyers and sellers which is especially important in this market. Our international reconcilability and current market share coupled with the unmatched marketing ability and success of Oceanside Realty will create a real estate powerhouse certain to be the leader,” commented Hannah Rico Fletcher the REMAX Broker. RE/MAX Oceanside is the perfect combination of unrivaled competitive advantages and the complementary strengths of both companies. The new company, based in Jaco will serve the Central Pacific Coast from Manuel Antonio to Puntarenas and inland to Santa Ana / Escazu. It is located in the Pacific Center, unit #30 between Subway and KFC.